Information and Communication Technology in Areas of Limited Statehood: A New Form of Governance? I recently had the distinct pleasure of participating in a fascination workshop on “Information and Communication Technology in Areas of Limited Statehood: A New Form of Governance?” The workshop was organized by the Frei Universität’s program on Governance in Areas of Limited Statehood and co-directed by Professors Gregor Walter-Drop and Steven Livingston. Update: the result of this meeting, and a follow up meeting in 2012 is a book on the topic to be published by Oxford University Press in 2013. Throughout the workshop, I kept thinking back to one of my all time favorite books, James Scott’s “Seeing Like a State: How Certain Schemes to Improve the Human Condition Have Failed.” But while I’ve been fully immersed in the field of crisis mapping since the early days (2007), I haven’t really taken the time to think through the deeper implications of these new tools with respect to governance and especially statehood. As James Scott notes in his book Seeing Like a State, “the legibility of a society provides the capacity for larger-scale social engineering, high-modernist ideology provides the desire, the authoritarian state provides the determination to act on that desire, and an incapacitated civil society provides the leveled social terrain on which to build.” By legibility, Scott means the ability of the state to index, search, understand and hence manipulate society. But unlike the past, and thanks to free mapping software and crowdsourcing, society is no longer as incapacitated as it used to be. Indeed, thanks to new free and open source mapping technologies, society is able to define it’s own legibility, the contours of which necessarily reveal the limits of statehood. Moreover, as I have noted before, the resulting map is often not as profound as the social capital generated between the dozens, often hundreds, of people collaborating on a live crisis map. In turn, this social capital facilitates mass collective action. In other words, social capital is fungible. As Scott notes, “this transformative power resides not in the map, of course, but rather in the power possessed by those who deploy the perspective of that particular map.” In many ways, therefore, the Ushahidi platform is a social-capital and collective-action generating technology. 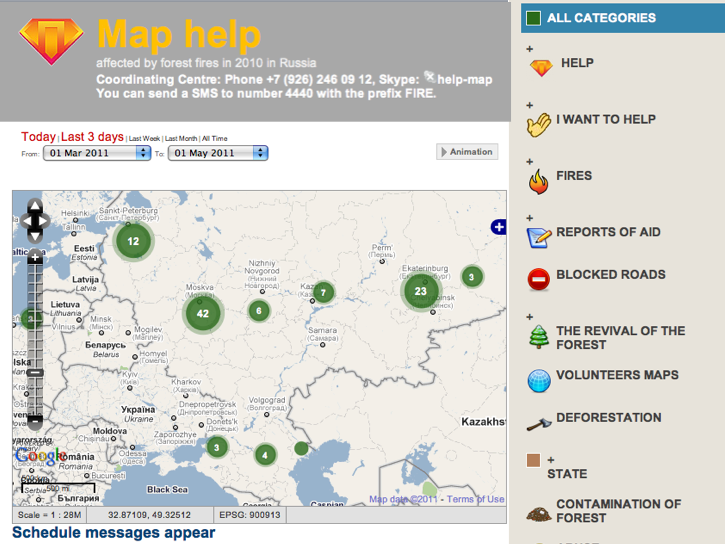 This entry was posted in Crisis Mapping, Crowdsourcing and tagged Fires, Governance, Russia, Scott, Statehood. Bookmark the permalink. 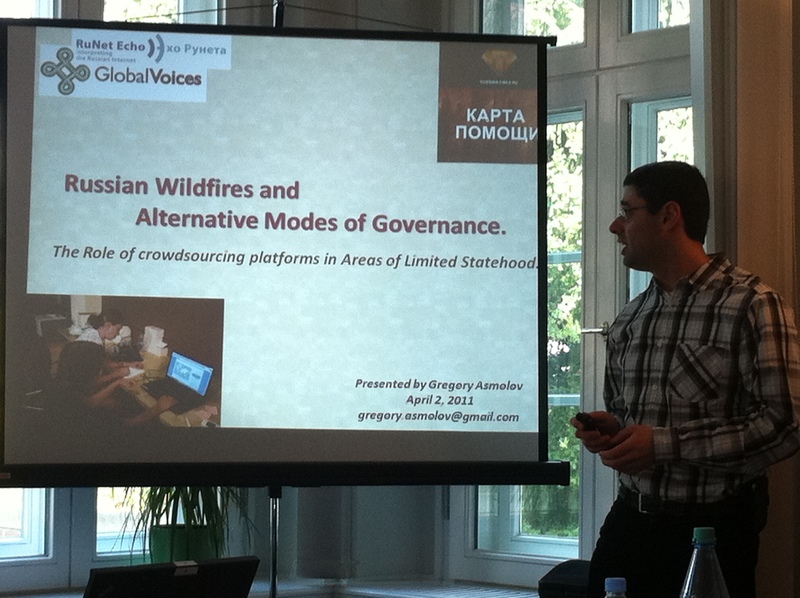 Where I can get the powerpoint of Asmolov? Hola, I’ll ask Gregory and will let you know, thanks! Hey Cord, thanks for your kind note!